Briefly the property comprises: entrance porch; reception hall; cloaks; store; ground floor WC; lounge; sitting room; dining room; dining kitchen; utility room; landing; five bedrooms; en-suite bathroom; family shower room; ample driveway parking; tandem garage/ work shop; large gardens; PVC double glazing; gas central heating. 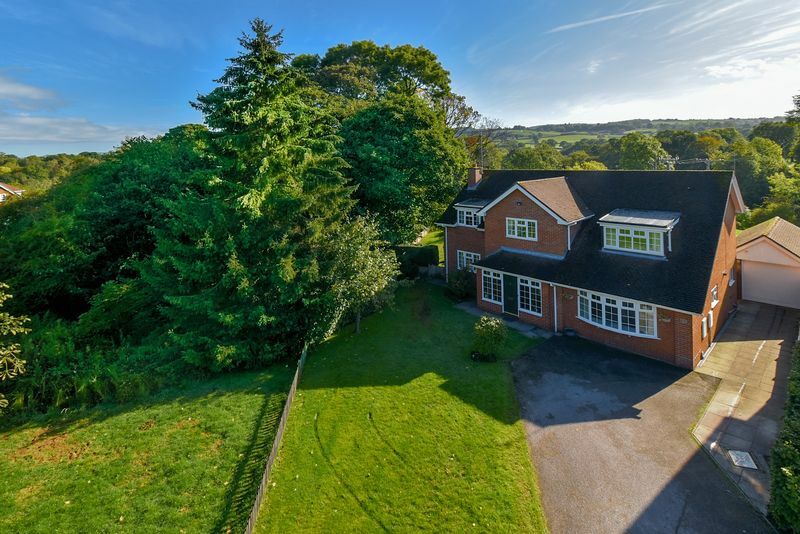 A superior executive detached residence which enjoys a particularly favourable and attractive position, located within the ever popular Henshall Hall estate, in the highly sought-after Mossley area of Congleton. 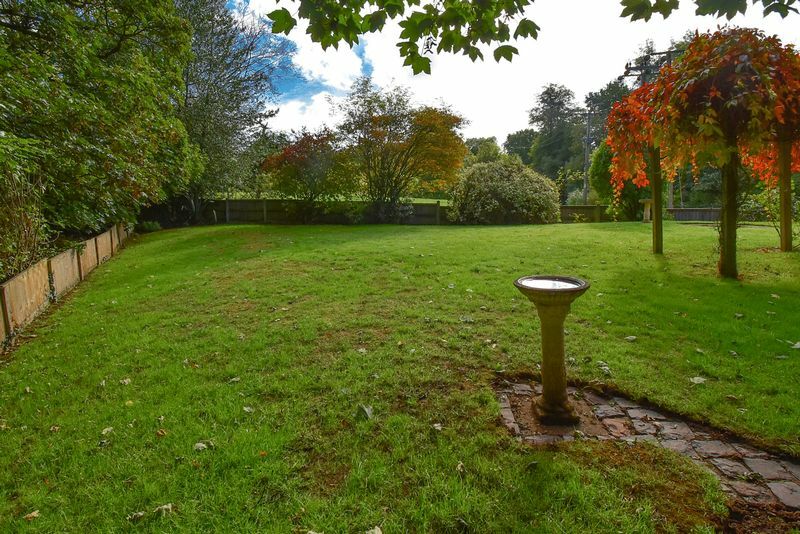 For many Congletonians, Henshall Hall needs no introduction, as buyers request this as a preferred location tirelessly year-on- year. 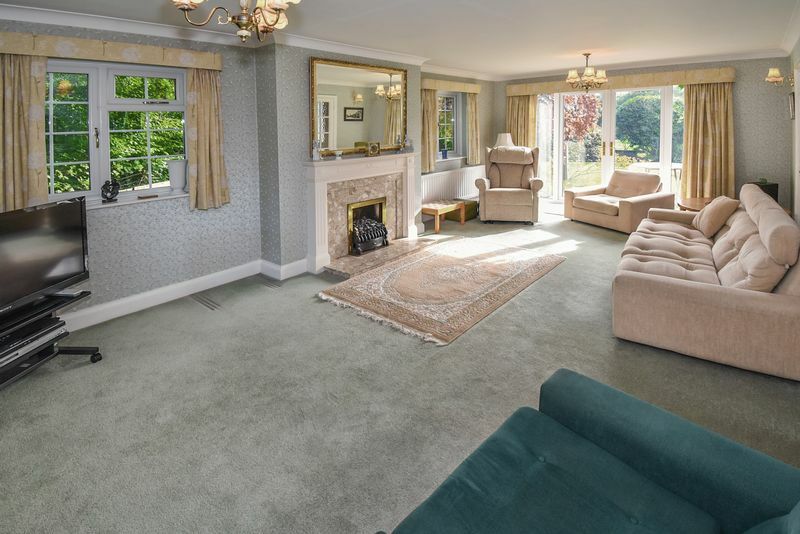 Seddons built, the estate is tried and trusted as a pleasant quality location, with many local amenities close by, such as the C of E Mossley Primary School, Train Station, the parade of shops at Hightown and its close proximity to the canal and open countryside. Built in an area of generosity, you will note the larger plots and houses which enjoy spacing between properties and expanses of communal greens. 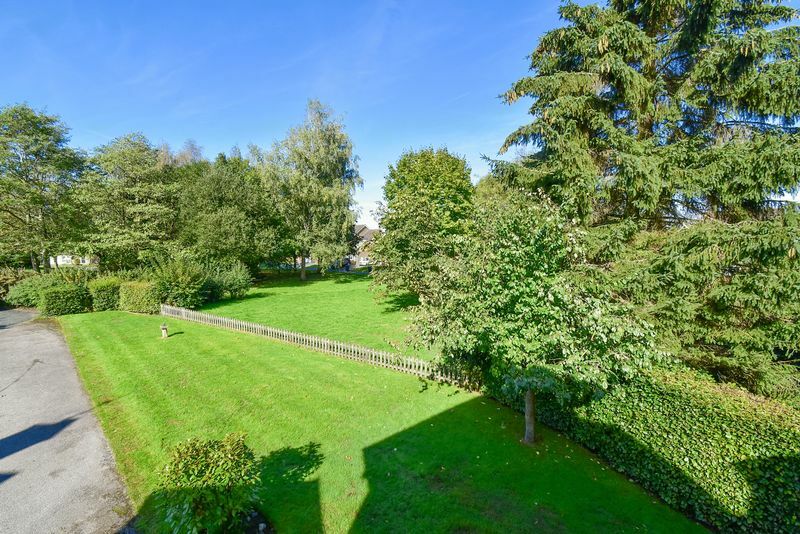 This established estate has matured beautifully and you will find picturesque street scenes with mature trees dotted around and lots of greenery. 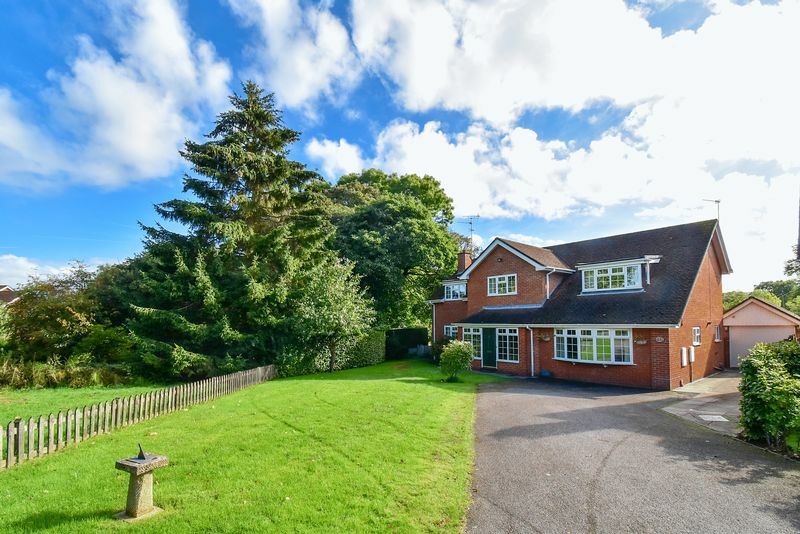 The subject property enjoys a highly favourable position, being situated at the head of a cul-de-sac of only six executive properties in all, with a very deep frontage and long driveway, and being on the end of the building line. 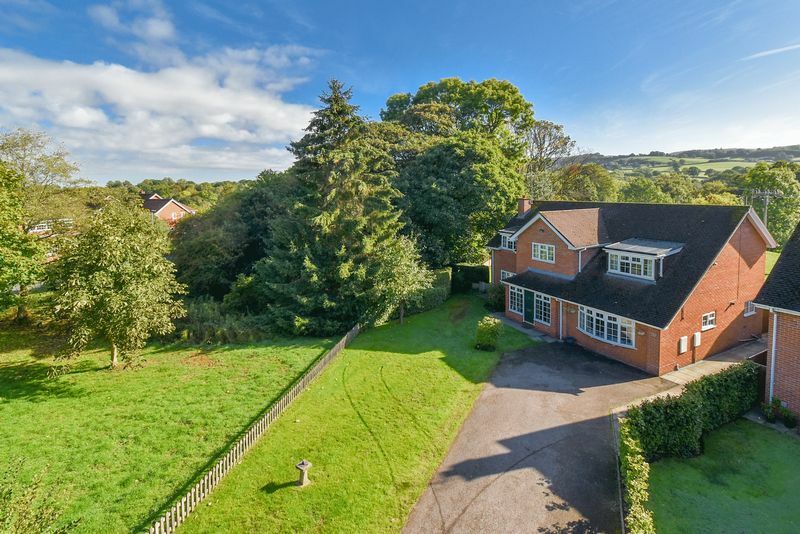 The property looks out over a pleasant green at the front, woodland at the side, and beautiful open countryside at the rear. A very special setting for estate living. 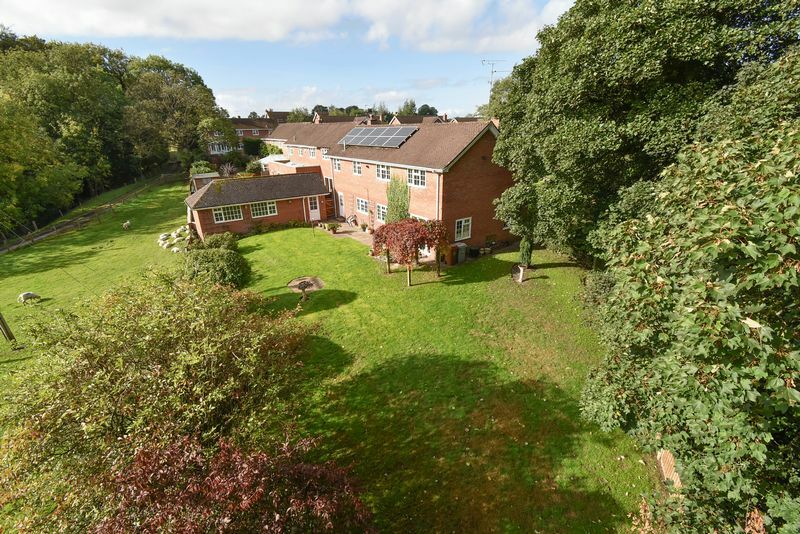 The plot is large, measuring in at approximately 0.2 Acres, and again by modern day standards is quite exceptional. 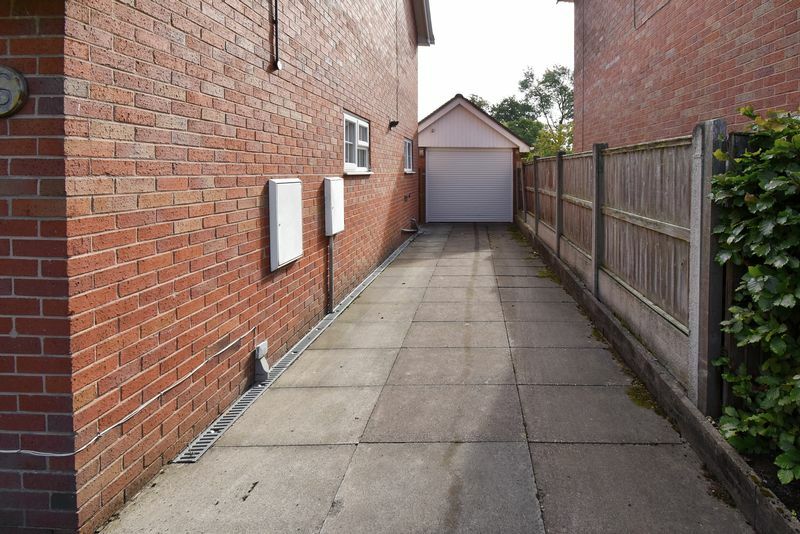 There is an almighty driveway at the front, which then runs down the right side of the home terminating at the garage at the rear. There is a large lawn providing untapped potential to create further parking if so desired. 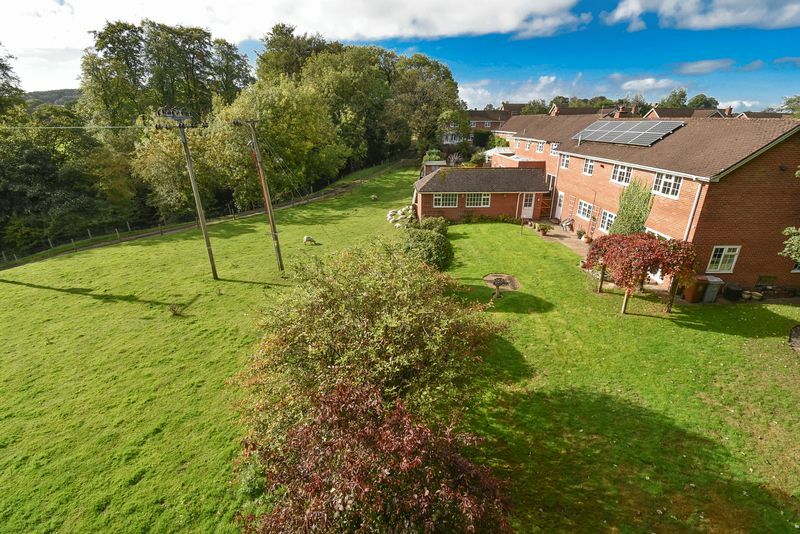 The garden at the rear stretches out to the left at the rear and is considered ideal for families and entertaining against the backdrop of the delightful countryside views beyond. The 29' tandem garage/ workshop has been built in a style sympathetic to the house design and features a quality refitted door, car pit and a workshop area supported with natural lighting via two side windows. The property promotes the luxury of space and functionality and this home will take any amount of family living in its stride. 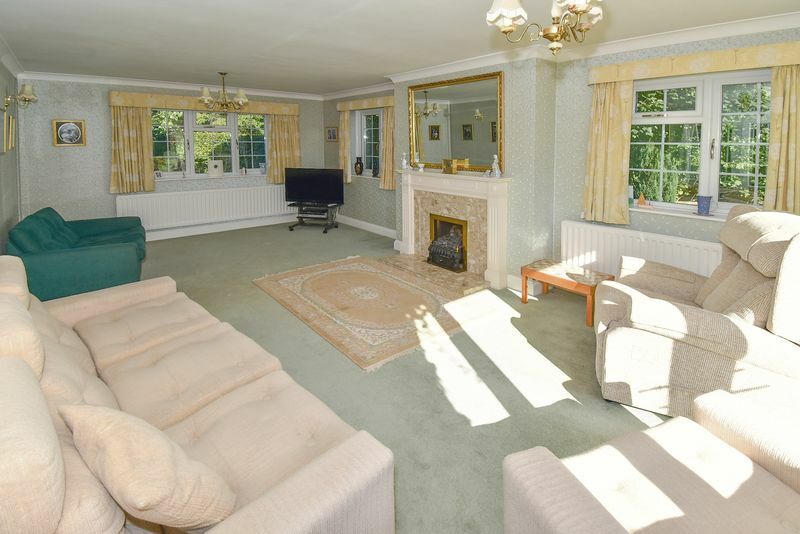 The ground floor area provides for enjoyment two very large lounges, a dining room and an eat in kitchen. 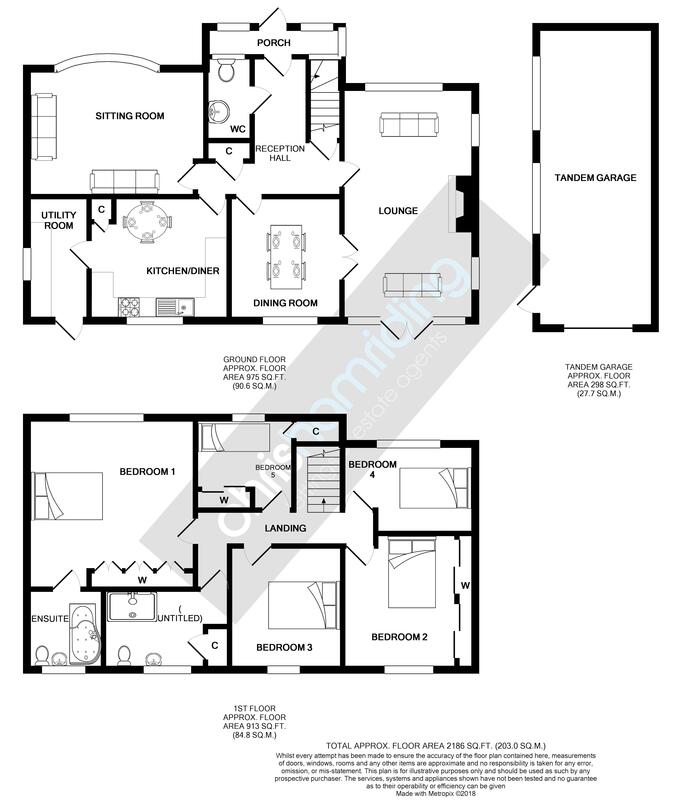 A porch, reception hall, WC and utility room supplement the specification providing essential day to day living facilities. 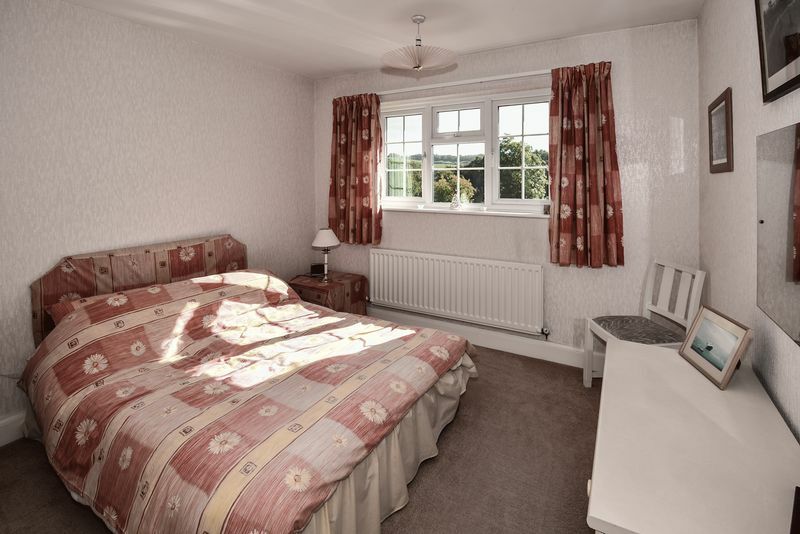 The first floor boasts 5 good sized bedrooms in all. 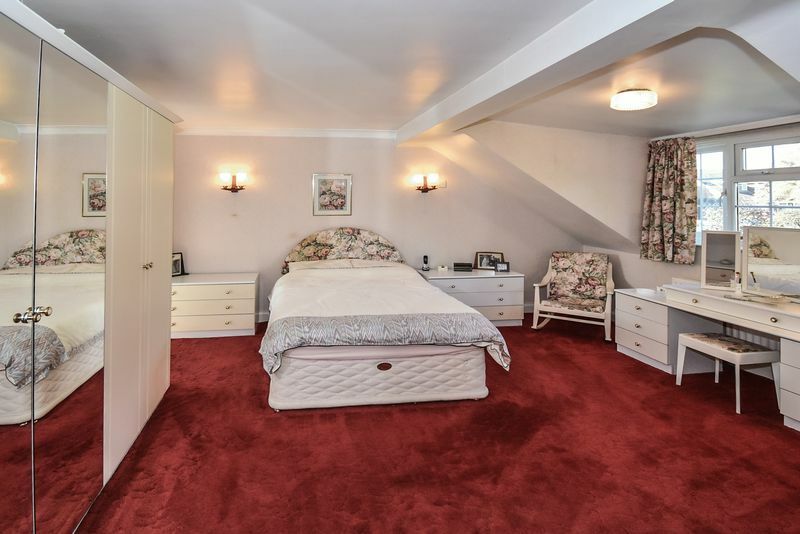 The master bedroom is particularly large and features an en-suite 'Bathroom' - with a bath (something of a rarity in modern homes). 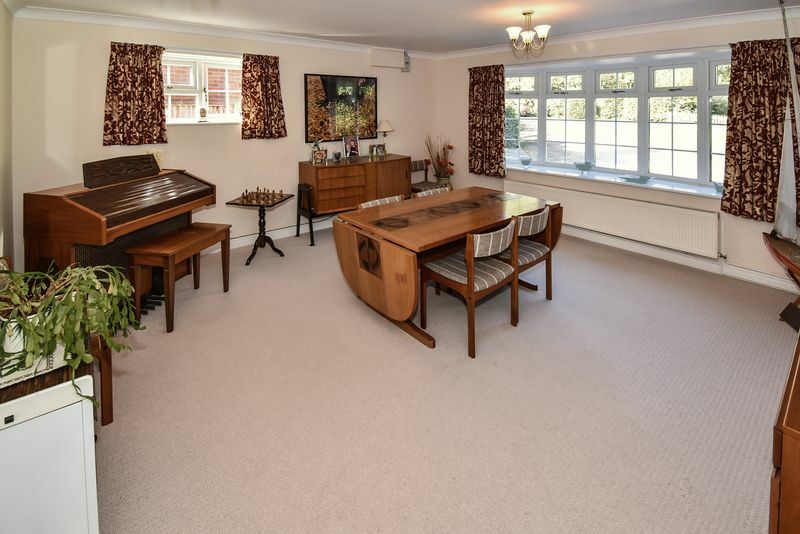 This is a much loved home which has been enthusiastically maintained and is well presented and offered in a squeaky clean liveable condition. 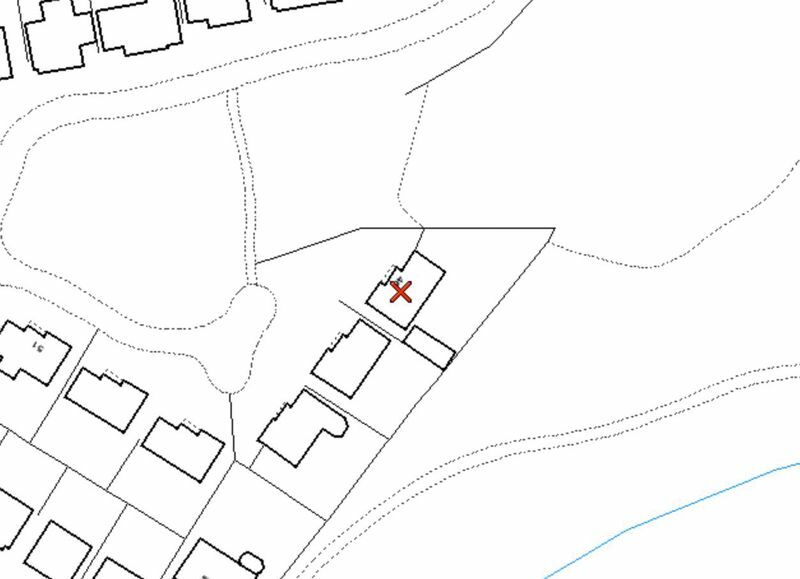 This large forever home can be extended if so required without over developing the plot (STP). The exceptional peaceful location, views and privileged degrees of privacy will boost your day to day enjoyment of the home significantly. The extensive drive and workshop may appeal to motor vehicle enthusiasts or hobbyists. 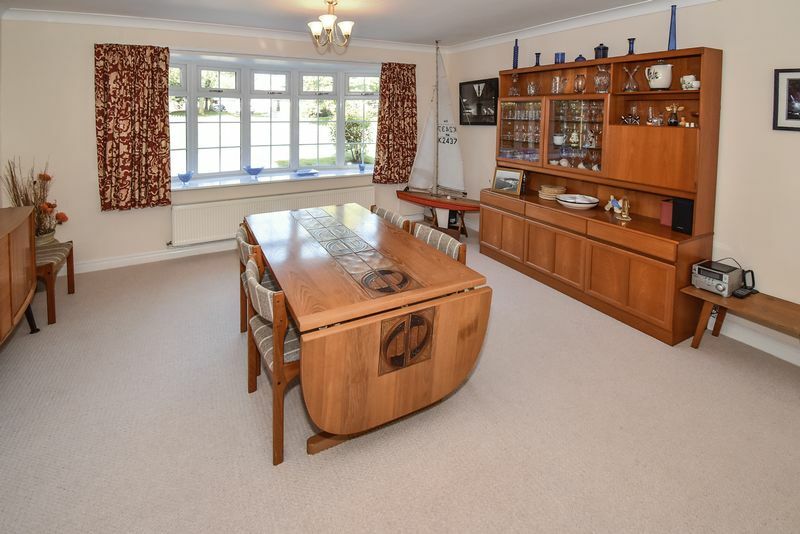 In many ways this is a very attractive home, with a range of diverse and valuable attributes, which are sure to connect and appeal to many a discerning purchaser. 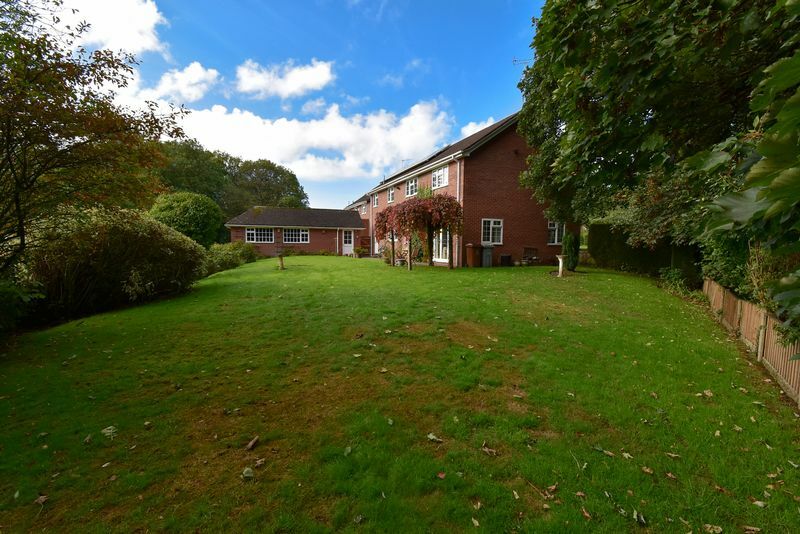 Call and appoint to see this wonderful home for yourselves 01260543999. Timber panelled external door with PVC double glazed windows to either side of the door. PVC double glazed window to the side aspect. Limestone effect tiled flooring. Courtesy light. Part glazed door to the reception hall. Frosted glazed internal window to the front porch aspect. Spindle staircase to the first floor with deep built in under stairs storage cupboard. Further recessed built in cloaks cupboard. Central heating radiator. Ornamental dado rail and ceiling cove. 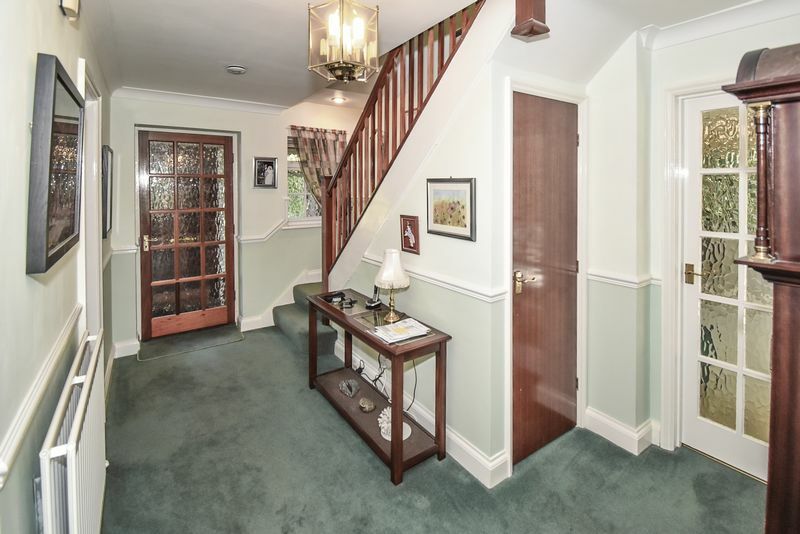 Access to the WC, lounge, sitting room, dining room and dining kitchen. Feature PVC double glazed bow window to the front. PVC double glazed window to the side. Central heating radiator. Ceiling cove. 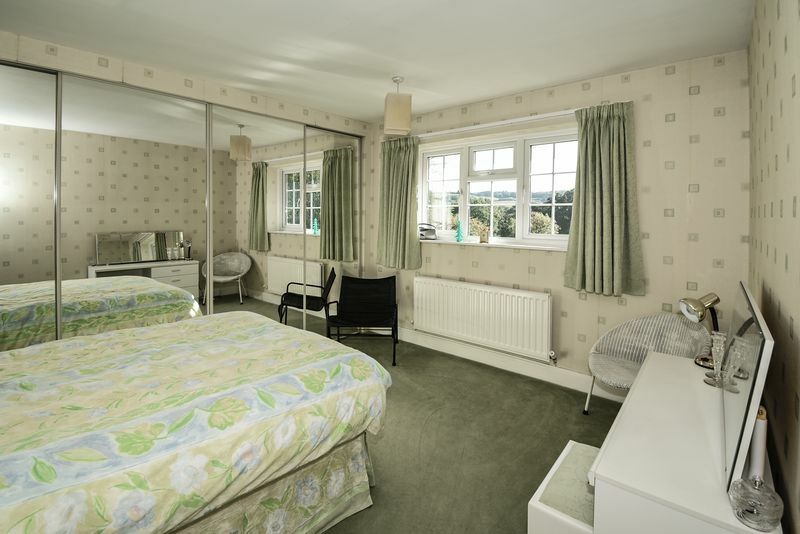 Large multi aspect room with PVC double glazed windows to three sides and feature external French doors opening out to the rear garden. 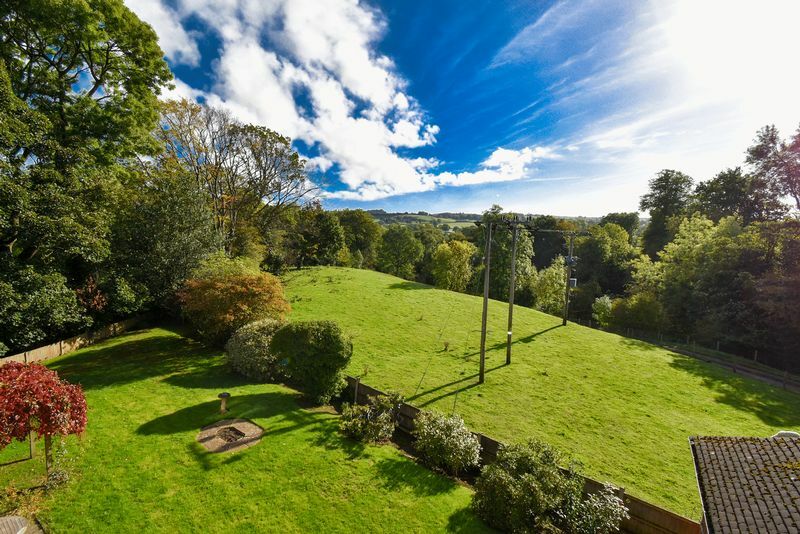 All aspects enjoy pleasant leafy views. Electric fire suite with ornamental fire surround. Two pendant light points and two wall light points. Two central heating radiators. Part glazed internal French doors opening to the dining room. PVC double glazed window to the rear. Central heating radiator. Decorative ceiling cove. PVC double glazed window to the rear. Fitted kitchen with gas hob and fan, double AEG oven and sink unit. Integrated fridge. 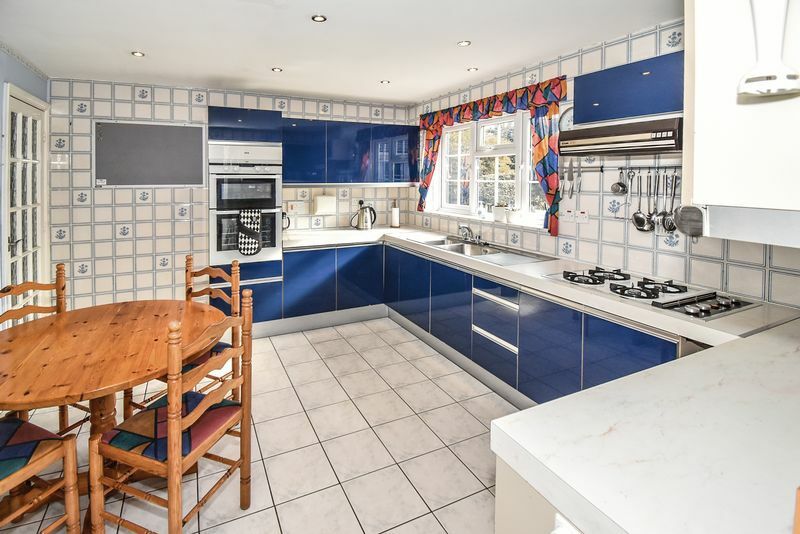 The kitchen offers lots of storage and preparation surfaces. Stone effect tiled flooring plus tiled walling. Central heating radiator. Recessed ceiling down lighting. Built in pantry store. Access to the utility room. PVC double glazed window to the side. Base storage with integrated sink and drainer. 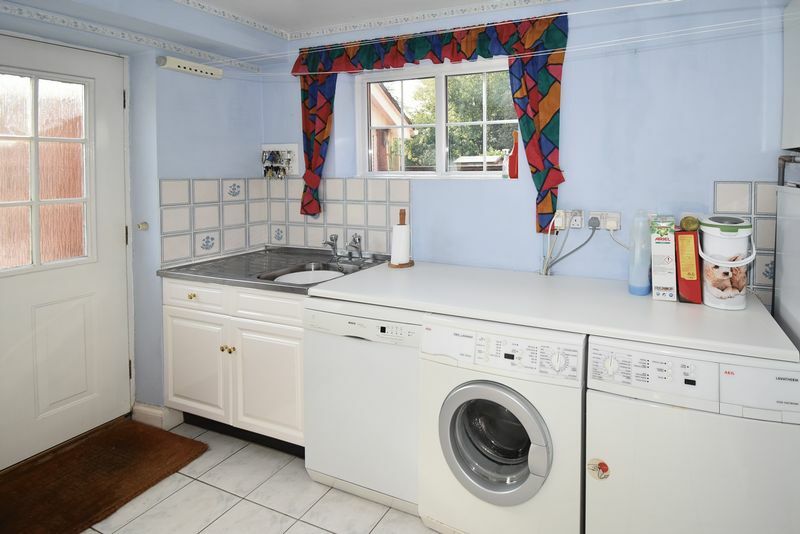 Fixed work surfaces with space under for a washer and dryer. 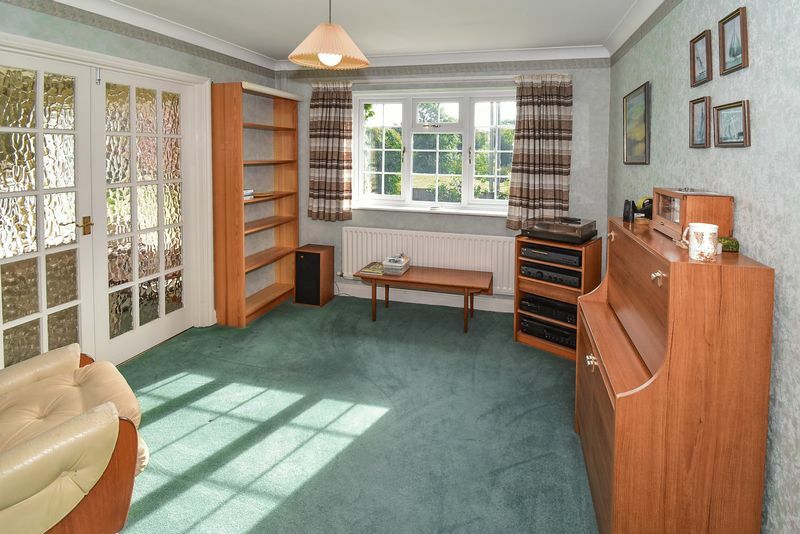 Space for a fridge freezer. Wall mounted gas boiler. Stone effect tiled flooring plus tiled walling. 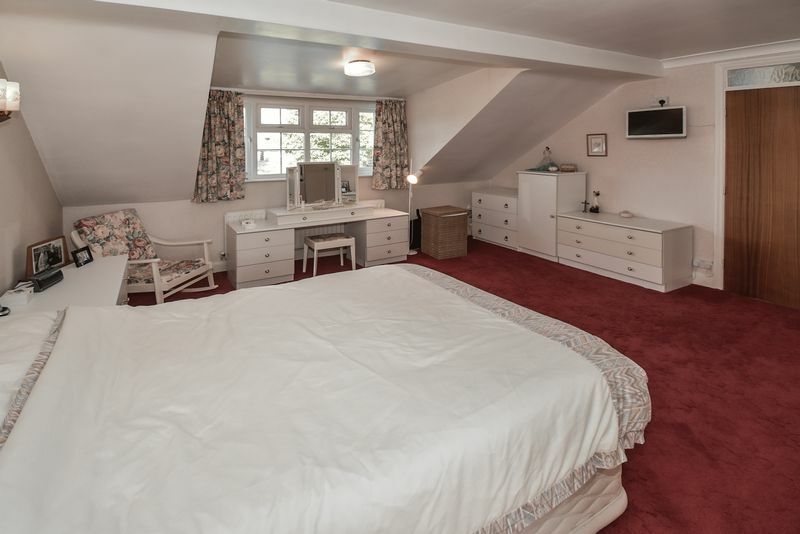 Access to the bedrooms and bathroom. Central heating radiator. 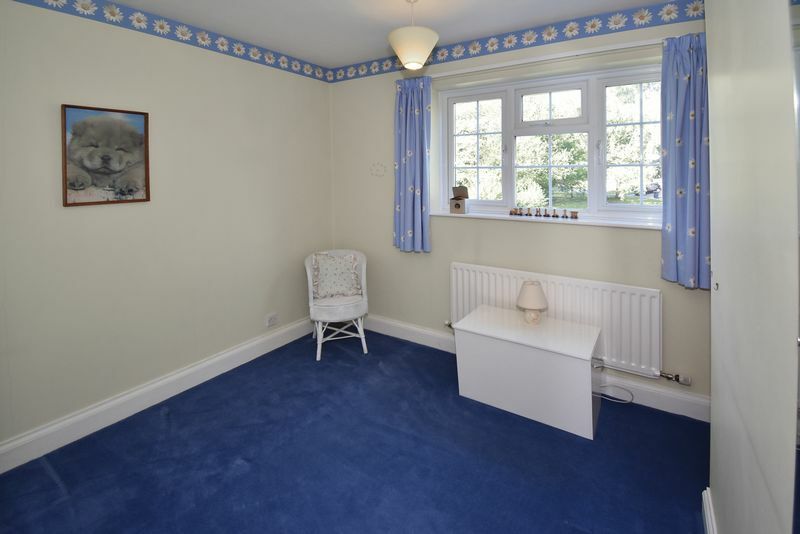 Impressive sized master bedroom comprising: PVC double glazed window to the front; built in wardrobes; two wall reading light points plus ceiling light point; central heating radiator. The room enjoys pleasant views over a green at the front. Access to the en-suite bathroom. 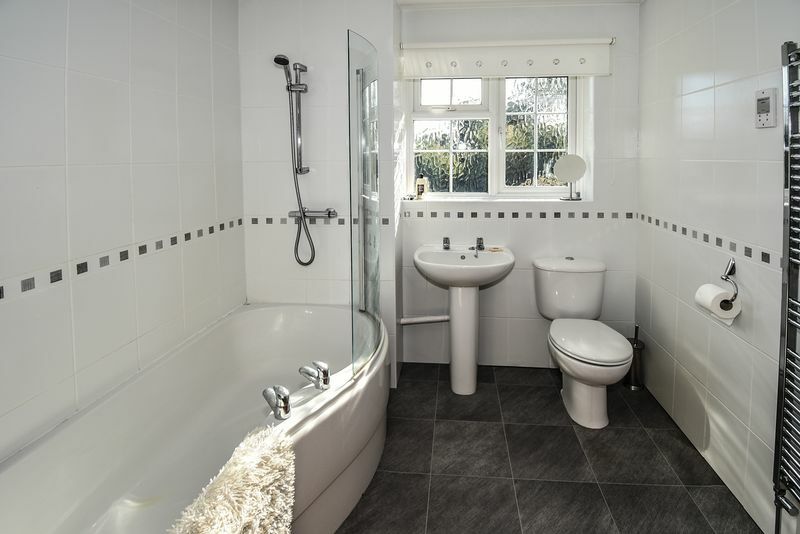 Many en-suites are shower rooms, so this bathroom is a real bonus. The bathroom is fitted with a luxury white modern suite comprising: P shaped combination shower bath with a glazed curved shower screen and chrome thermostatic shower; chrome filler taps; pedestal sink with chrome taps; button flush WC; white modern tiled walls; slate tile effect cushion floor; tall polished chrome ladder heated towel radiator. PVC double glazed window to the rear with county side views. Built in wardrobes with mirror sliding doors. Central heating radiator. PVC double glazed window to the rear with lovely countryside views. Central heating radiator. PVC double glazed window to the front with pleasant views over the green. Built in recessed over stairs cupboard. Built in wardrobes. Central heating radiator. PVC double glazed window to the front with pleasant views over the green. Central heating radiator. Last utilised as a home office. Frosted PVC double glazed window to the rear. 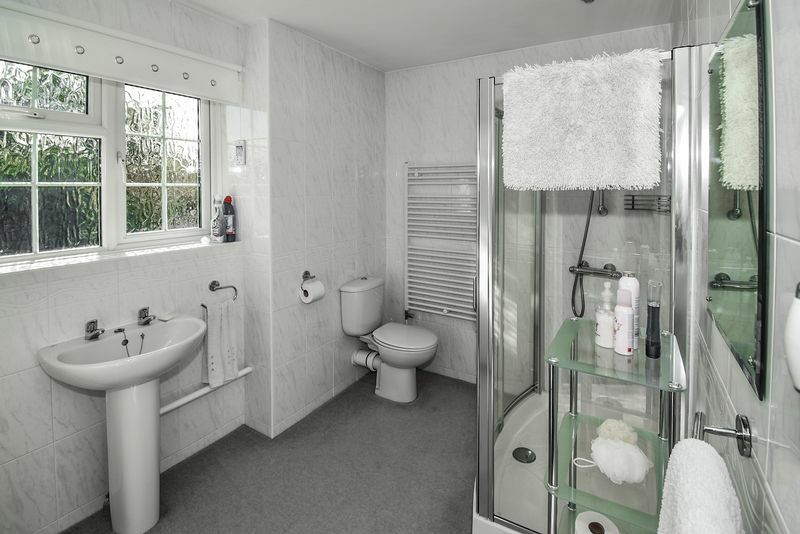 Luxury white modern suite comprising: large shower cubicle with chrome thermostatic mixer shower; button flush WC; pedestal sink with chrome taps; stone effect tiled walling; tall ladder heated towel radiator. Large built in airing cupboard housing hot water cylinder. Modern roller garage door. 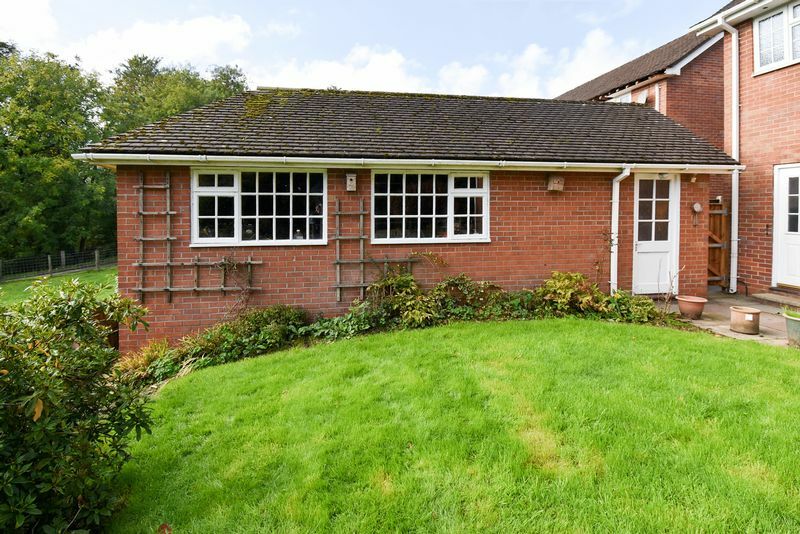 Brick built garage with tiled pitched roof having internal open loft storage area. Personnel side door and two side windows with pleasant views. Car service pit. Power and light.